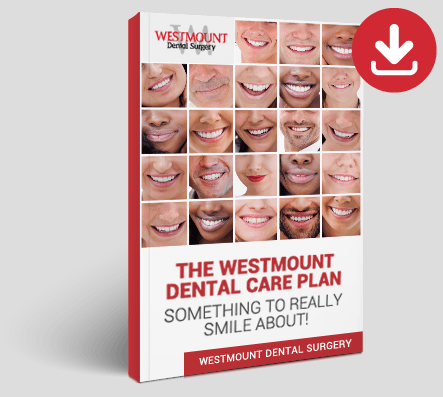 At Westmount Dental Surgery we are committed to delivering optimum standards of dental care for patients of all ages. That is why we provide a full range of general dental treatments, from routine examinations to root canal therapy. Routine check-ups are the key to maintaining good oral health and we advise all our patients to attend examinations every 6 to 12 months according to NICE guidelines. We will examine your mouth and check for early warning signs and symptoms and with regular visits we can make sure we can catch any problems before they occur. Read on to find out more about the different treatments available under general dentistry. You can also call us for more information or to book in for your FREE smile consultation where we can answer any questions you may have. Fillings are a form of restoration used to strengthen teeth weakened by decay. It is usually used to fill a cavity (a hole in the tooth) to prevent further damage. Fillings are common and the procedure is fairly simple, but if you are worried about treatment please do not hesitate to talk to the dentist. The procedure involves cleaning the tooth thoroughly, removing decayed tissue and placing filling material in the cavity, which is set hard using an intensive light beam and then shaped and trimmed to ensure a perfect fit. Fillings are usually placed under local anaesthetic to prevent any pain. A dental crown, also known as a cap, is a type of restoration which is placed over the top of the natural tooth. Crowns are used to restore and strengthen teeth damaged as a result of injury, trauma or weakened by decay. The natural tooth is fully encased in the crown right up to the gum line. Crowns are made from a range of different materials, including precious metals, ceramic fused to metal and porcelain. Porcelain crowns are the most popular choice because they look like natural teeth and have a glossy finish. Crowns can be coloured to match the natural teeth and provide an aesthetically-pleasing finish. White fillings are recommended for patients with small cavities and those in need of an aesthetically-pleasing alternative to amalgam fillings. For larger cavities, inlays or onlays may be recommended but your dentist will discuss alternate treatment options if a white filling is found to be unsuitable. Root canal treatment is an effective procedure used to treat an infected tooth. It is required when the tooth pulp which contains the living tissue has become infected. If the tooth is not treated the infection can spread through the root canals, increasing the risk of an abscess forming. The procedure, which is carried out under local anaesthetic, involves the removal of the infected pulp tissue from the tooth. The tooth root canal is then cleaned, filled and sealed to prevent further infection. In many cases, root canal treatment can be used to save a tooth that would otherwise need to be extracted.